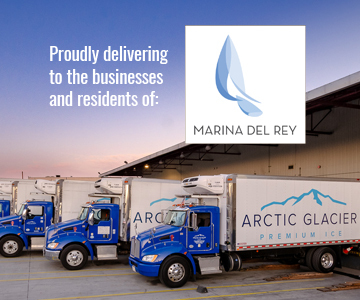 Arctic Glacier is the favored ice delivery provider in Marina Del Rey. 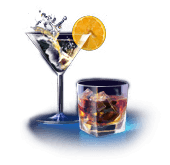 Whether you are a Marina Del Rey resident hosting a party or a seafood restaurant on the harbor, Arctic Glacier is your go to provider for all of your ice needs. Professionally made ice looks better and lasts longer, and both of those attributes are important to both businesses and residences in Marina Del Rey. 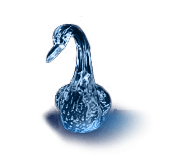 Arctic Glacier uses high-quality water and then filters that water to remove any natural imperfections. The result is ice that serves the needs of every industry throughout Marina Del Rey. Our standard ice, crushed ice, classic vintage cubed ice, and dry ice is used in many different capacities throughout Marina Del Rey. We know that every delivery we make has to be the highest quality products. Our hospitality customers need that clear and professional looking ice for their clients. Likewise, the fishing industry needs ice that can last a long time before melting away. We work hard to make sure that we satisfy the needs of each Marina Del Rey business. The proper handling of ice products is just as important as being able to make the best quality ice. Our professional drivers know that their refrigerated trucks have to be set at the perfect temperatures to keep our ice fresh. We work directly with our Marina Del Rey clients to set up delivery schedules that meet their demands. We make sure to fulfill all of your ice needs so that you can attend to your business. If you run out of ice unexpectedly, then call us for our emergency ice delivery service and we will bring you the ice you need as fast as we can. Along with our reliable regular ice service, we are also able to help you plan your next special event. 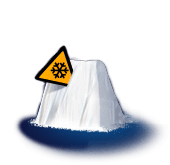 No matter what size or type of event you are planning, Arctic Glacier will make sure that you have the right type and amount of ice on-hand. Arctic Glacier works hard because the people in Marina Del Rey are proud to work hard as well. Let us help you plan your ice needs, including a customized delivery schedule, so that you always have the ice you need to run your business.